April 2012: Four meatless food memories | A party of one. I recently dreamt of ThaiNY’s vegetarian duck. It was not the first time. I lived at 29th and Lexington in New York City for a year and a half. Visible from my bedroom window was Curry Express, and it shared a block with Kalustyan’s spice shop and Curry in a Hurry. Nearby were Haandi, Chinese Mirch, the Turkish Kitchen, and at least a dozen other Middle Eastern and Asian restaurants. I tried maybe two of them. Every time I wanted curry, which was often, I ordered it from ThaiNY, on 28th and 3rd. I like to eat meat twice a day, so I have no idea how I came to order their “vegetarian duck,” but I never ordered a meat protein again after doing so. It’s their seitan, sweet and salty, with the texture of juicy dark meat chicken. Some of the pieces were even texturized to look like duck skin, and it was shockingly deceiving, taking on the fatty mouth feel of the real thing. There were weeks that I ate red curry or panang curry with vegetarian duck most nights–I could divide an order into two meals (though it pained me to do so), costing me a modest $5.00 for dinner. I ordered it when friends and family visited, and the biggest skeptics wound up falling hardest. The problem with seitan is that there’s not one way to make it. 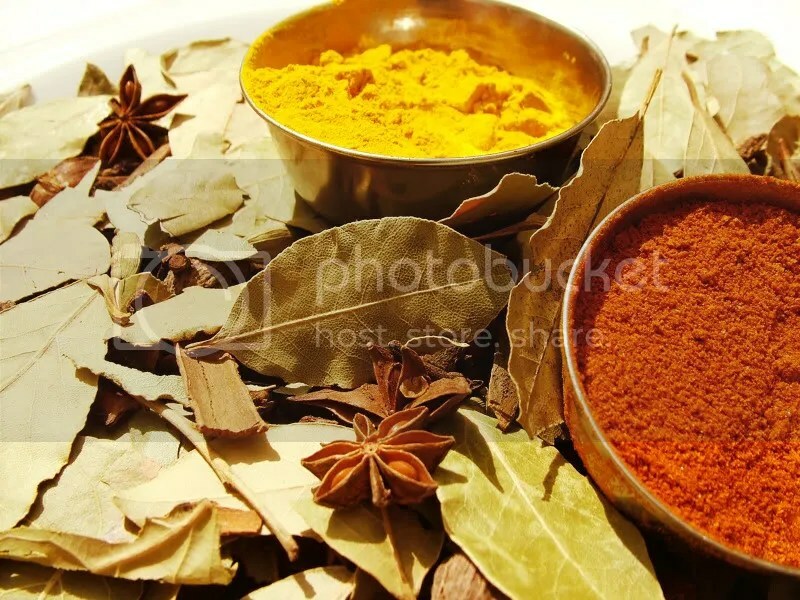 Much like curry, there are a couple of ingredients that make it what it is (vital wheat gluten, to start), but you can put almost anything in it and arrive at a completely different consistency and flavor. Soon after leaving New York, I made seitan at home, using a seemingly promising recipe that involved soy sauce after poring through many vegetarian and vegan blogs, and it was disastrous. It squeaked between my teeth, chewed like soft rubber, and tasted like nothing in particular. I recently ordered vegetarian chicken from a vegan Thai restaurant in West Hollywood, and it wasn’t even close. My experience with ThaiNY wasn’t the first time in my life that I preferred something that tasted like meat (but wasn’t) to the meat it sought to emulate. That honor belongs to Thundercloud Subs, an Austin, Texas sandwich shop. I worked for a small film festival in the summer of 2005 that had a trade deal with Thundercloud. On someone’s recommendation, I ordered a salad with their “nada chicken” meatless patty, and I never moved beyond it. I’ve never had anything else on the menu. It’s probably a Boca “chik’n” patty–once that job and my free Thundercloud with it, I started copying the salad at home with some success–but it was just a fun salad. They sprinkled thick grated cheese on top, and sliced the patty into strips, and the freshly microwaved, greasy, breaded patty would melt the cheese onto itself. Delicious with honey mustard. A guy who worked at a location near my apartment would give me two patties, so I tried to go and coincide with his schedule, and smile a lot. I haven’t made this salad in ages, but of all of the really, really good food I ate in Austin, of all the breakfast tacos and the meals at Uchi, that nada chicken strangely stands out. Before that, it was a vegetable sandwich in college. 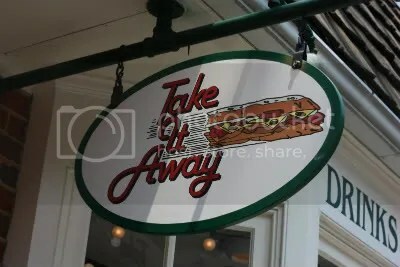 University of Virginia students flock to Take It Away, a tiny sandwich shop on Elliewood Avenue off the “Corner,” a street (and a corner) of restaurants, bars, and shops. Unlike many of my peers, I did not love going to Take It Away. In college I was spread thin socially, involved in far too many student activities, and I rarely got to be alone. If I wasn’t at class or a club meeting, I was at home with roommates who often wanted me to join them to eat or watch TV. And by junior year, I learned that I really liked to be alone. I used to disappear to the depths of the research library and read old New Yorkers, and I was at my happiest the summer I lived alone, edited a documentary, and waited tables downtown at a restaurant no students went to. Take It Away is purely social. Customers wait in a typically very long line and then loiter in the small space until their name is called to pay for their sandwiches. There isn’t a lot of seating, so students would usually take their lunches to the historic Lawn, the centerpiece of Thomas Jefferson’s campus, for a picnic. Half the time I went there I was with a friend, and the inevitability of seeing people I knew was both exciting–I did love to flirt–and stressful. Age had not yet finessed my social graces when it came to polite banter with people I didn’t know very well. I avoided those conversations until my mid-20s. Confidence changes everything. Take It Away. Great photo courtesy of DeanneEats. The sandwich was well worthwhile, though. Its ingredients were not spectacular–just some matchstick carrots, alfalfa sprouts, and cucumber, with a thin slice of probably provolone. But a dip in their “house dressing” changed everything. It obviously has mayonnaise and whole grain dijon mustard in it, and a recipe online suggests steak sauce is the secret third ingredient. The shop sold its “bread ends,” the heels of bread used for the sandwiches, to dip in the house dressing, and it was a fixture at dinner parties and rush events. I left Charlottesville for Austin and later returned to work in alumni relations for U.Va., and in my travels around the US meeting with alumni, I heard those two words all the time. House dressing. And then there’s soup. Not warm, comforting soup that hugs your insides, but cold, tangy, garlicky soup. Gazpacho. I love the stuff. The gazpacho sold at Whole Foods’ flagship store in downtown Austin is the only food that could get me to start eating avocado, which I now love. The manager of Tender Greens in my New York City neighborhood comped my first bowl of it when it returned to their menu in the spring because I had ordered so much of it the summer before. Theirs had jicama in it, and I actually ate some of it. It’s a humble food, but it never ceases to clear my sinuses. That’s something meat just can’t do.